R.A.G.E. Open House – Nov. 14th | R.A.G.E. 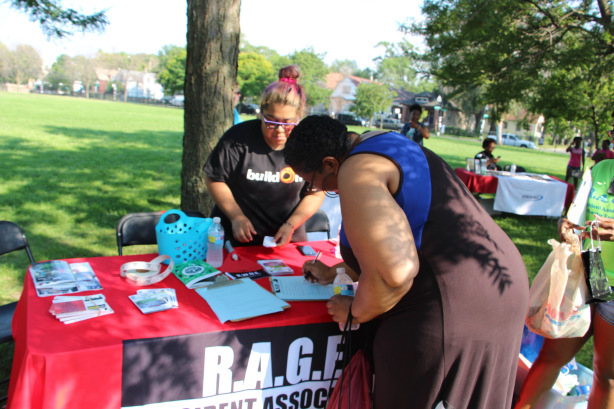 Live in the Greater Englewood community and looking to get involved? Or did you recently submit an application and not sure where to start? Well join RAGE for an open house on Saturday, November 14th at Kelly Library 6151 S. Normal Blvd. at 11:30am. You will hear more details about our mission and current initiatives such as our school-repurposing work, TIF reform, and more. This new membership orientation/open house is open to anyone interested in learning more about our organization. For more information, call 866-845-1032 or email joinrage@gmail.com. We hope to see you there!